Retirement has evolved over the past few decades. At one time it was assumed you’d live with your adult children or in a senior home as you age. At another time, dreams of moving far away to warmer climates and lush golf courses was the trend. And now, the preference is staying at home and aging in place. According to American Association of Retired Persons (AARP), 90 percent of retirees now say they want to age in place, with 82% of them reporting they prefer in home care if medical assistance becomes necessary. So how do you know if staying put during retirement is right for you? Strong social networks is critical to a happy retirement. Professional networks from working or volunteer networks from performing acts of service can help to decrease boredom and boost moods. Social networks help physically, mentally, and emotionally. An established circle of friends, as well as nearby family, has been proven to lend to a successful and content retirement. Moving away from children, grandchildren, and even great grandchildren can be very difficult for many. Although Colorado has seen a boom in the housing market, there are still some areas where selling the home may be a difficult option. Or for personal reasons, you simply don’t want to. Reverse mortgages have been making it possible to age in place for years now. 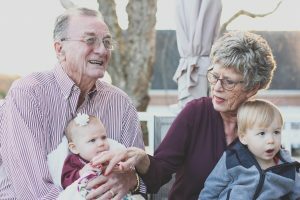 These specialized loans are available to homeowners 62 and over, including married couples with many protections in place to ensure borrowers are adequately educated before using this option, such as required third-party counseling, reverse mortgages are gaining in popularity among retirees from all walks of life. A reverse mortgage for purchase option is available for those looking to purchase a new residence.